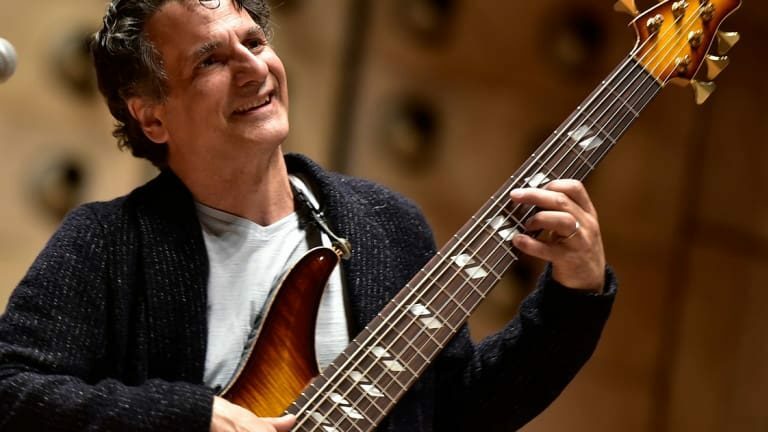 John Patitucci is an American jazz bassist and composer born in New York, NY, December 22, 1959. When he was 12, he bought his first bass and decided on his career. He won his fourth Grammy Award on February 10, 2019. Oh boy, that’s a long story. Well, my older brother is a guitarist. When we were little, one of my cousins started to play guitar across the street, and then my brother wanted to do that, so my grandfather got him a guitar. I wanted to do everything my brother did, so at first, I tried to play the guitar, but it didn’t feel right. I’m a lefty. My brother was very loving and very savvy and saw me struggling. He was taking guitar lessons with a guy who made him learn how to read music and do all that. I was very young and very precocious and didn’t want anything to do with all that. I just wanted to play but didn’t know what I was doing. I also had bongos and maracas and wanted to play drums, too. My Dad wouldn’t let me do that. We had a big family, and we lived in a house with my uncle’s family and our family in Brooklyn; I grew up in East Flatbush. I really wanted to play the guitar, but it didn’t feel right. The pick and everything. My brother saw this and put an electric bass in my hand. There was this electric bass, a really horrible Sears bass that we got for ten bucks, and for me, it was the greatest thing in the world because it just felt right. I could use my fingers. So I heard the music from Detroit, all the Motown stuff. I heard James Jamerson on the bass; then I heard Willie Weeks and Gerald Jemmott and Chuck Rainey — all these guys that were defining the instrument. I heard Monk Montgomery, too. He was one of the first to play the electric bass. Most of those guys started on this new instrument called the electric bass in the fifties; it wasn’t even invented until ’51 (I was born in ’59). That started me off. I heard all the soul music and blues, and then the British invasion, rock ‘n roll and everything. I was into all that, and I remember my grandfather brought home a box of records when I was about eight. I heard Art Blakey and the Jazz Messengers, “Genius + Soul = Jazz” album by Ray Charles, Jimmy Smith’s “Hoochie Coochie Man” — all these records and Wes Montgomery records. My brother and I, we were listening to all those records, and we didn’t know what they were doing, but we felt something, and that’s when it started. We moved to California in the seventies, and I met this guy named Chris Polar, and he started hitting me with all these records. He introduced me to the Miles records in the sixties with Ron and Tony and Herbie and all those things. Still, I was playing electric until I was about 15. In high school, there was a band room with a bass in it. I tried it and started fooling around with it. Then when I went to college, I studied classical bass for about three years. When they tried to get me to quit playing jazz, I quit school. I went on the road. So that’s how it all started. For me, it’s unbelievable still that all this happened. I was just a kid from Brooklyn, and my father was a son of an immigrant from southern Italy. Very poor. 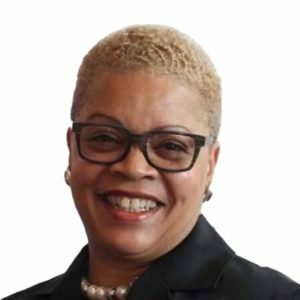 My father grew up with 12 kids in a little house in Brooklyn, so we used to get the lecture a lot when we were kids — there were five of us — about what it meant to be poor because we didn’t know, we were just sort of middle whatever. We had no idea, but I’m glad now (because I have my own children) that he talked to us about what that meant so that we didn’t take anything for granted. I’m really thankful to have had the opportunity to play music, and then on top of it, to be adopted into the jazz world and the culture of African American music and then Latin American music and African African music and all these other musics that took me in, and mentors and masters that kind of took me in. I’ve known Al [Foster] now since I was maybe in my late twenties, early thirties. A long time ago, we started playing together. And people like Freddie Hubbard, I worked with him; Herbie Hancock and Wayne Shorter, who is like my dad. Chick Corea, too. All these musicians that took me in and taught me what this music is and where it came from. And all these noble men and women that had to deal with all kinds of obstacles who made it happen. So I’m very thankful for that. I hope that people will investigate that world of music because it’s uniquely, uniquely American. We wouldn’t have it without African music. It’s a wild thing to me because I’m a person of faith, and I feel like God took a tragedy and turned it into the riches of people’s music. Wherever those people were brought, and it was terrible why they were brought, but when they came, from wherever they came, they changed the music of every place in the world they went forever. It will never be the same. They changed my world forever. In America, we have this rich art form that was born out of a mixture that happened on our shores, and we should cherish and celebrate it. That’s my hope. That people discover it and fall in love with it. That’s what happened to me. What do you think about this club? I think it’s great. I live not far from here so I can drive over here and play some music and go home. But I mean I enjoy it, and you know, Mark and his wife, Ellen, they worked hard to make this happen, so I want to support and encourage it. It’s also nice that people I know, not just from the city, but people around here can see us play without having to go into the city. I think the city is important and I think people should never take it for granted and they need to support it, too. But I also think that we have to have a scene out here, too.